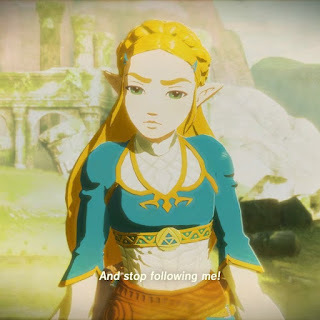 When I first started playing Breath of the Wild on the Nintendo Switch, there was an account that would (intermittently) retweet all of the pictures posted by players. Actually it was simpler than that. It would retweet everything with media and the #BreathoftheWild hashtag. It caught a bunch of re-posts and other junk, but it also captured people's cosplay pictures and fan art. I used to have a column dedicated to this account on my Fenix Twitter app, and I would scroll through the screenshots and other content, and enjoy the community of like-minded fans. Recently, that account has gone away, or rather it has been renamed and repurposed to retweet Nintendo Switch posts, regardless of the game. These days, that means almost exclusively Splatoon 2, which is fine, but that's not what I'm in to right now. So, after contacting the developer to see if they would reinstate the functionality (and receiving a negative reply), I thought, "Well, I already have a Twitter bot, this should be easy." I haven't written the bot yet, but I've created the @SheikahMemories account. UPDATE 2017-09-02: I have now written the bot! It took about four hours to strip down and adapt the existing twooshbot framework to the new behavior. Note: I've since replaced the Twitter list following the account with a saved search for the #BreathoftheWild hashtag, but not everyone uses an app that can do that, and once I had the idea, It got legs of its own and I'm kind of excited to implement it, whether or not it's strictly necessary.